A garage manager from Johnstone is facing a lengthy spell in prison after police seized more than £1 million worth of class A drugs from his premises. Greig Sneddon, 33, ran the Pit Stop garage in Renfrewshire. Police raided the building in September last year and found cocaine, heroin and mixing agents on the site, leading to Mr Sneddon being arrested and standing on trial this week. A combined motor trade insurance policy is designed to protect the valuable tools and vehicles a business holds at its premises. Needless to say illegal substances will not be included in this cover and it is always worth remembering that criminal convictions marked against an individual or their company could see a notable rise in the price of a motor trade insurance policy. Moreover, some insurers will refuse to provide cover altogether, dependent on the criminal convictions obtained by an employee of the business. The High Court in Glasgow heard that police found further evidence of drugs with the intent to sell at both Mr Sneddon’s home and in his BMW. Among the items found was £1 million of high purity heroin wrapped inside a bag marked "thank you", as well as a further £77,000 of the drug in the car along with £20,000 of cocaine. 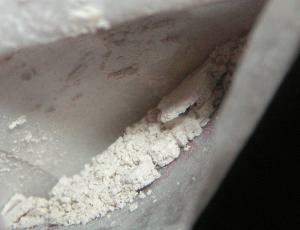 The man admitted his involvement in supplying heroin and is to be sentenced at a later date. The garage owner Graham McGhee and a friend had also been detained, but they were later released.